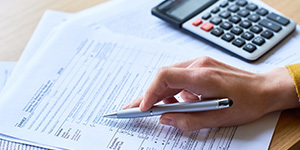 Tax preparation can be confusing or overwhelming for the average person — especially if they don’t have the resources to hire an accountant. That’s where the Teller County Volunteer Income Tax Assistance program comes in, offering free tax preparation to low- and moderate-income individuals in Woodland Park, Colorado. The organization partners with the IRS and relies solely on local volunteers and community support. Site Coordinator Vicki Rector says the program saves many hours by using SignUpGenius to coordinate tax preparation appointments. Previously, the organizer spoke to about 400 clients on the phone to explain the services and set up appointments. Rector says she appreciates how easy it is to customize time slots in SignUpGenius since the availability of appointments with their volunteers varies from date to date. “Although SignUpGenius is a benefit for clients, the organizer is the person most rewarded for using this tool,” Rector says. SignUpGenius is happy to support the mission of Teller County Volunteer Income Tax Assistance. Changing the world, one sign up slot at a time!